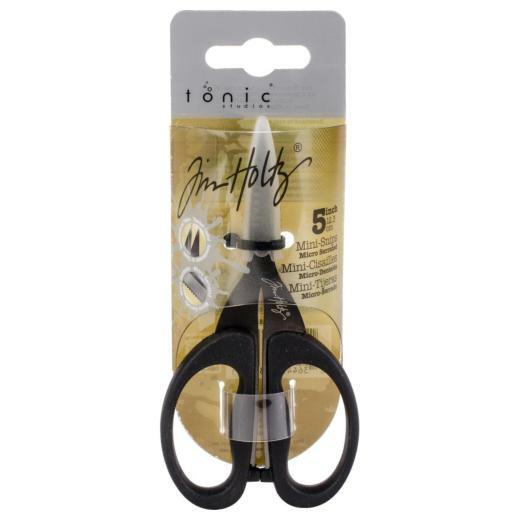 Tim Holtz Tonic Micro Serrated Non-stick Mini Snips (Scissors). Sharp pointed micro serrated blades for detail cutting and a non-stick coating which reduces adhesive build up. Excellent cutting on all types of materials including sheet rubber, vinyl and adhesive backed papers. Includes a plastic blade cover for protection and safe storage.